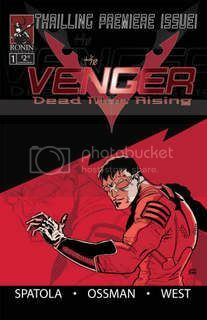 Still going over the story lineup for the Venger Special. So far I have covered 'Crossfire' and 'Venger vs the Wolfman'. 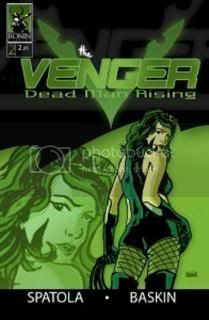 The third story to be in this over-sized one shot is Black Mercy: No Mercy, a spotlight on the mysterious assassin introduced in the first issue of The Venger: Dead Man Rising. Since that issue I've received a lot of feedback from readers and other creators who have really been drawn to that character. So in the special we will see her in this 11 page solo story, getting a hint or two on her shadowy past. The story is written by me and features fantastic art by penciler Jun Joe Monares and inks and gray tones by Venger team member Scott Shriver. We are really enjoying working this story and have talked about publishing a Black Mercy Special as well. 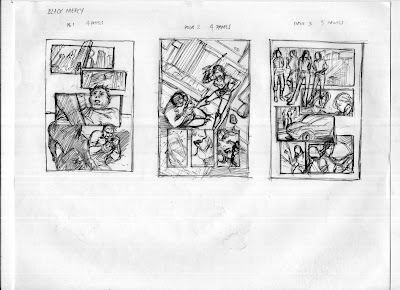 Here's a look at some of Jun's rough's for the story. 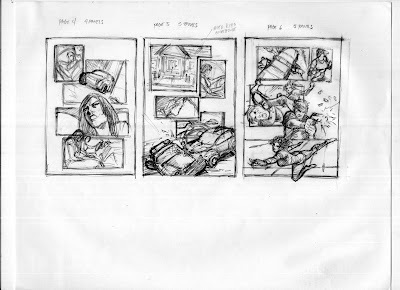 I'll post a couple of pencil pages soon followed by some of the colored pages.